Escape from the Cafe is another cute escape game from Kamonosoukutsu. 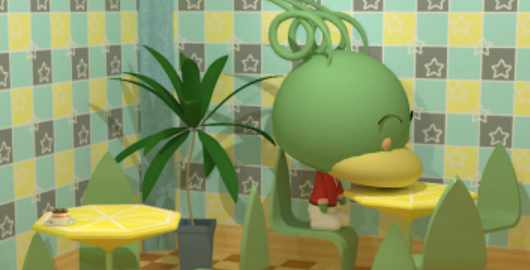 You are locked in a cafe and there is a mysterious animal sleeping on a chair. Maybe it knows a way to escape? Posted on Sunday, October 7th, 2018. Follow any responses through the RSS 2.0 feed.